Check for wear and tear, proper drainage and damage from the elements. Make a note of spots that are either barren or overgrown with weeds. Weeds can be eliminated either by manual removal or by using weed killers, but bare spots should be patched up with healthy grass. Most grasses can be seeded over your existing lawn. By properly watering, fertilizing, and mowing throughout the year, your lawn will repay you with a lush carpet of green grass. Lawns need about one inch of water per week, either from irrigation or rain. Check to make sure your sprinklers are in working order by turning them on, looking for sprinkler heads that may not be working and replacing any damaged ones. Make sure the timer is set properly so each area of your lawn receives ample amounts of water. Check with your local water department for restrictions on time of day or length of time allowed for residential irrigation (most areas recommend watering during the early morning hours). If all systems are working well yet you notice that water is collecting in certain spots, your lawn might not be draining properly. Consider removing the turf and adding a coat of topsoil to level the ground, then replanting with grass, water-loving annuals or ground cover. If your lawn has been fertilized and is receiving the right amount of sunlight and water, test the soil for proper pH balance. Home-test kits are available at The Home Depot and are very easy to use. 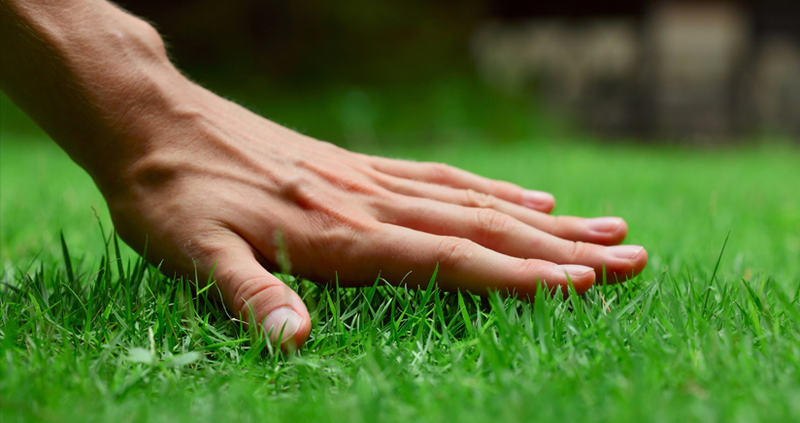 Gather several samples from different parts of your lawn, each from 2 to 3 inches below the surface. Follow the manufacturer’s instructions to complete the test, then amend the soil as necessary: adding lime will help increase pH levels, while sulfur, sawdust and compost will help lower it. Fertilizing once in the spring and once again in the fall should be sufficient. Make sure that the fertilizer you’re using contains a large percentage of slow-release nitrogen and micronutrients. It’s better to use too little than too much, because over-fertilizing can dry out your lawn or cause thatch to develop (an excess buildup of dead grass stems between the soil and the grass blade). Many types of grasses are prone to thatch, which prevents air and nutrients from circulating properly. A thorough raking will help clear dead grass, leaves and other debris from your lawn. When mowing, run the lawn mower in a different direction every time so you don’t damage the lawn by wearing ruts in the turf. 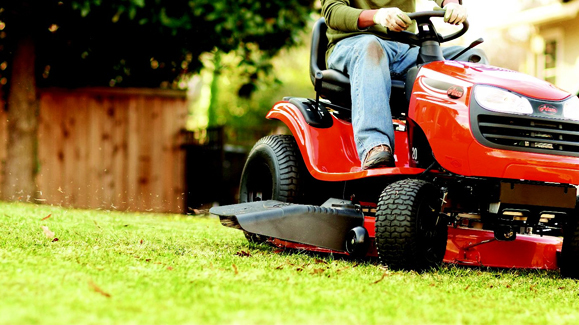 Don’t “scalp” the lawn by mowing too short. Leave the grass clippings spread out over the lawn as an extra bit of fertilizer.